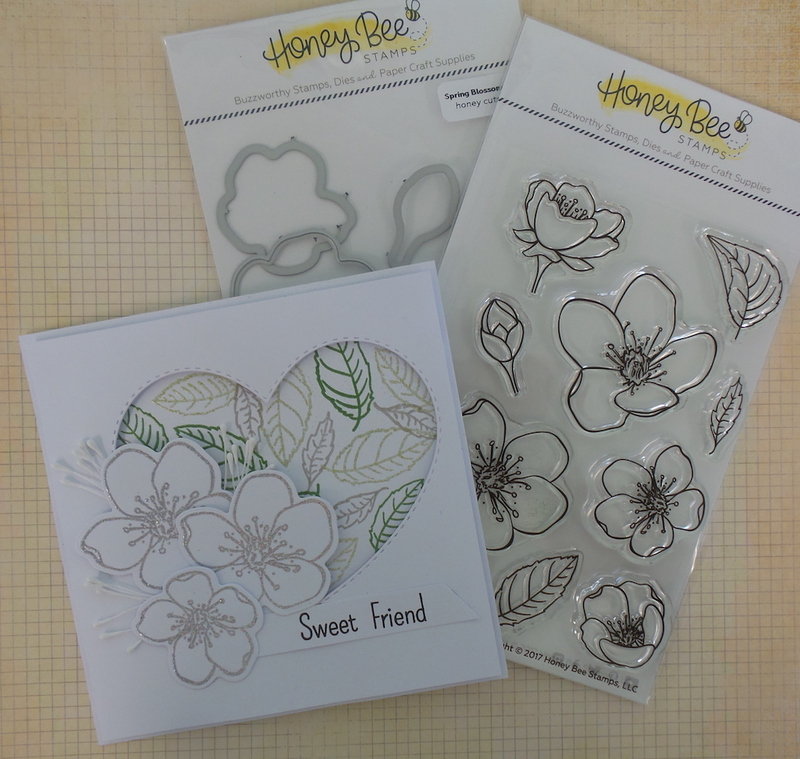 When you have beautiful products to work with, you can't class it as a 'job' Ours aside, Honey Bee Stamps and dies are just stunning and such a wonderful quality !! Why not join along and make this card for that special friend. 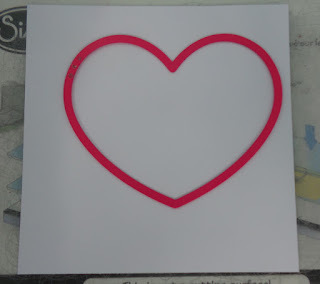 4.75" card front, using the Double Stitched Heart Dies from Pink and Main cut out a heart just off to the right. The fab thing about these dies is the stick goes on the piece thats cut and the aperture !!! 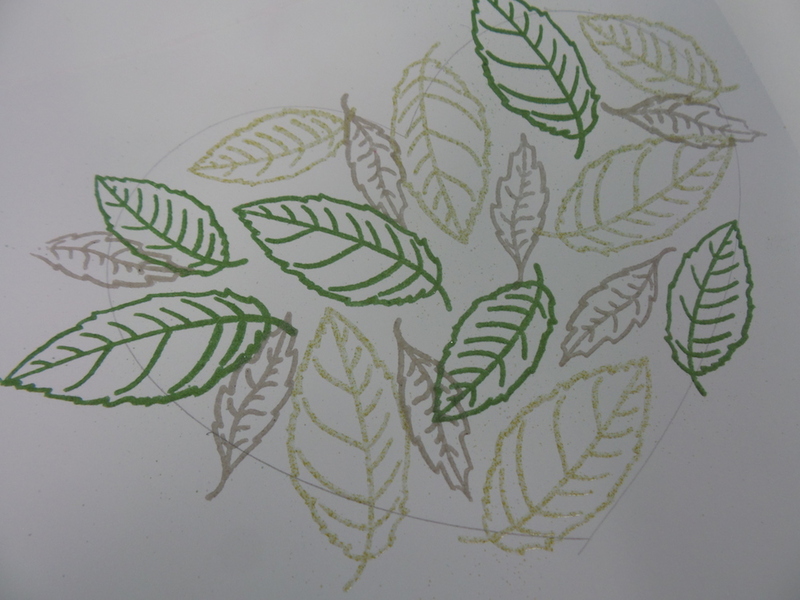 Fill the heart up with leaves alternating the colours. I used WOW! Kiwi Krush, Goose and Avocado. Using foam pads adhere the aperture to the card base. 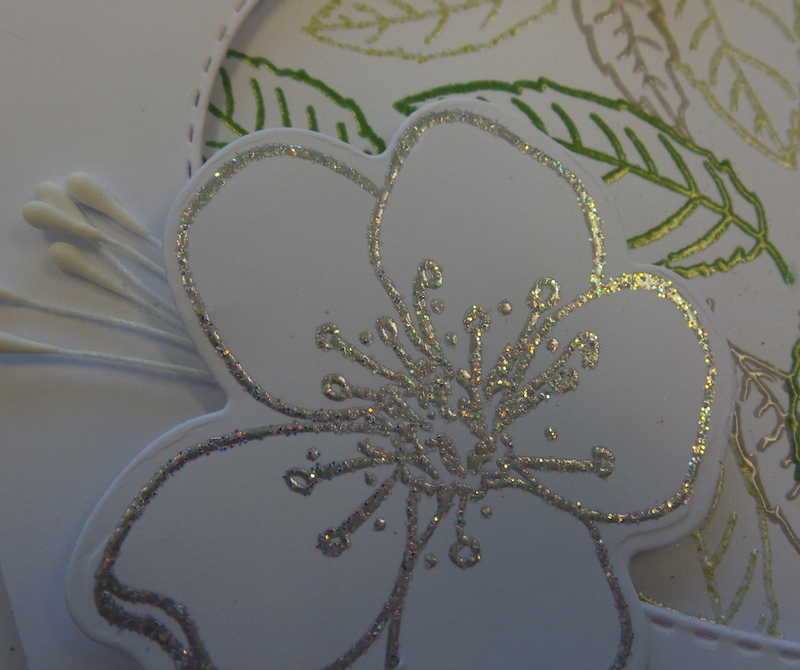 Adhere to card front coming off the heart aperture, I used Pinflair glue as this gives you dimension and allows you to stick some stamens in and around the flowers. stamp the word Sweet Friend from the WOW! Just Saying Stamp Set on a piece of card stock and adhere to the card front. You should give this fabulous Company a try, you won't be disappointed !!! I couldn't stop there, in fact if I had more time I'd have done loads, but rest assured this won't be the last time you see these stamps and dies…. 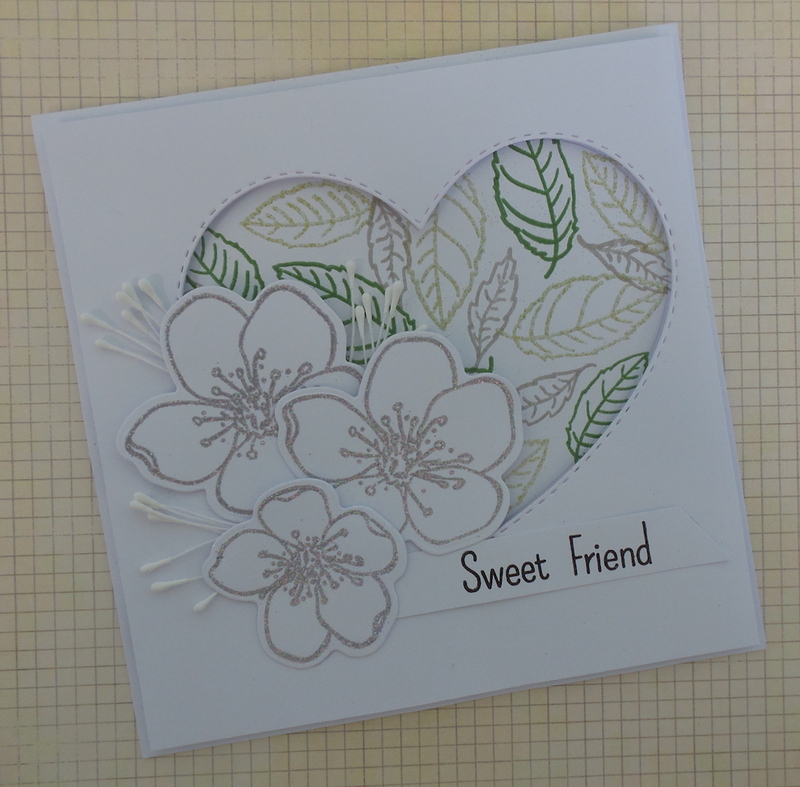 Here's another quick card..
Cover your card panel (this can be done in any size) in various colour inks. 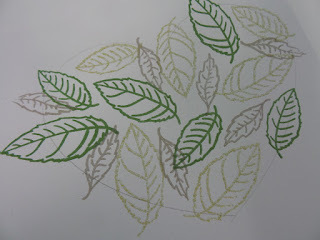 I used the Catherine Pooler Inks, they're so vibrant, juicy and just, well, lovely !!! Make sure you cover all the white card stock, heat set it so it's completely dry. 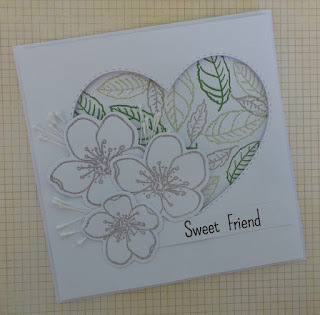 Using the Honey Bee Spring Blossom Stamps, stamp and emboss randomly using WOW! 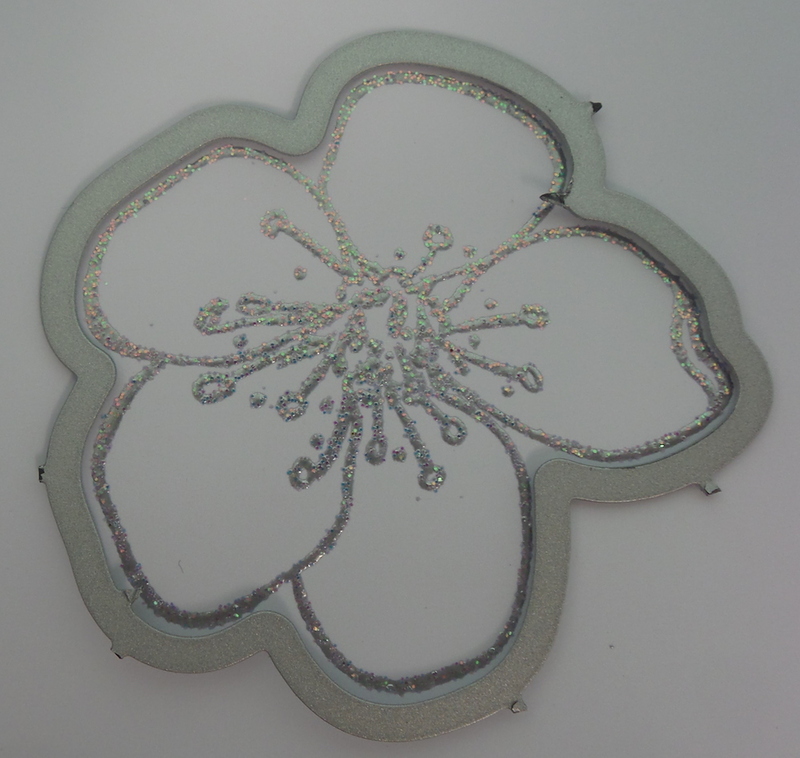 Clear Embossing Powder. Taking Versafine Onyx Black ink all over, covering everything. 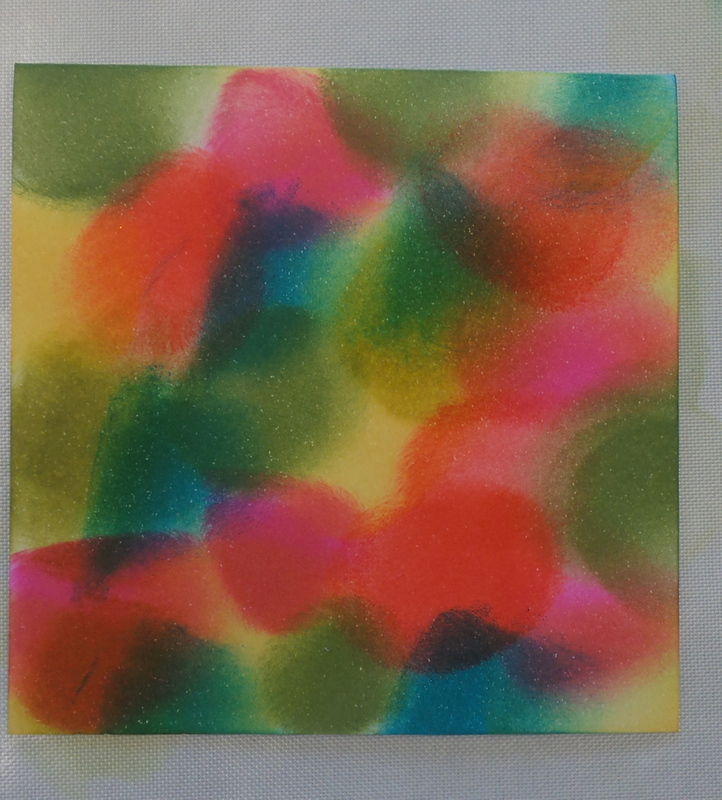 Then wipe away with kitchen roll to reveal the colourful flowers underneath. Using the Pink and Main Double Stitched Dies, cut a small heart out of the panel. 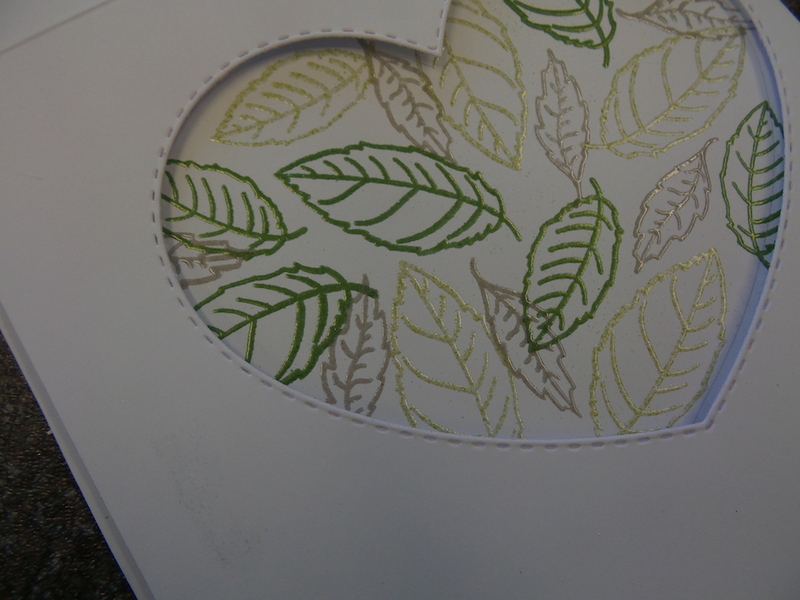 Mount onto folded card base, stamp a sentiment and adhere across the heart. 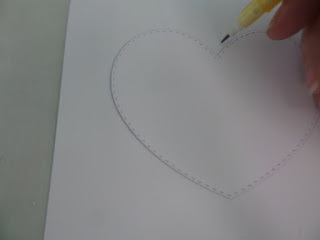 Click on the pictures to take you to the place to buy your supplies… and then play till your hearts content !! Love both cards, thank you for the inspiration! Very pretty cards! 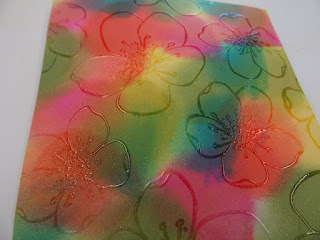 Love using embossing powders (I rarely make one without embossing). Thanks so much for this awesome, inspirational hop and the giveaway. Honeybee will be in contact with you shortly. Great cards but I really love the black/colorful one! Such an awesome make and so inspiring! 😊 My pleasure. This has been a wonderful hop! Your embossing powders are gorgeous! The colors are so crisp and clean and vibrant! All of the cards look amazing! Thanks for all the wonderful inspiration! You blown me away with both of your fab projects with great techniques, so inspiring and must try! Thanks for sharing your talent and chance to win! What beautiful cards Marion. I do love that stamp set the flowers are gorgeous. Thanks for the inspiration. Not sure what card I like better as they are both so pretty. But the one with the black ink is just stunning. Definitely going on my one to try list. Hi Marion, your cards are gorgeous! I absolutely adore Honey Bee stamps and dies and you are right, you won't be disappointed! They are fantastic and the quality is top notch! With that said, some of my first EP's were WOW brand I have to say they are STILL my faves. I only have the basic colours (black, white, silver,gold, etc.) but I think I need to up my game after seeing Cloud 9, Fool's Gold, etc. I definitely learned a lot on this fun hop and hope to see WOW & Honey Bee collaborate again soon! Just finished the hope, thanks for doing this. There was so many wonderful creations. I enjoyed all the inspiration. What a fantastic collaboration! Gorgeous cards Marion! 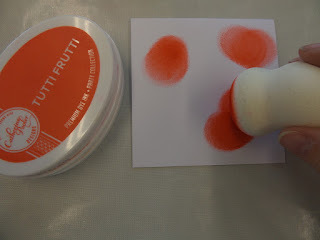 Wonderful techniques for using embossing powder. Love the rainbow on the black! It’s pretty eye catching isn’t it !! What great cards and techniques. I'd "forgotten" about the second card's technique, it is very fun and looks great! Marion, your cards are just fabulous. I always learn so much from you. Yeah, but what about my Facebook lives LOL !!!!! 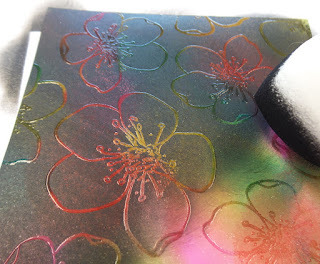 I haven't been shopping for embossing powders lately. Fabulous cards! Love the second one with the Joseph's Coat technique which one of my all time favorites! 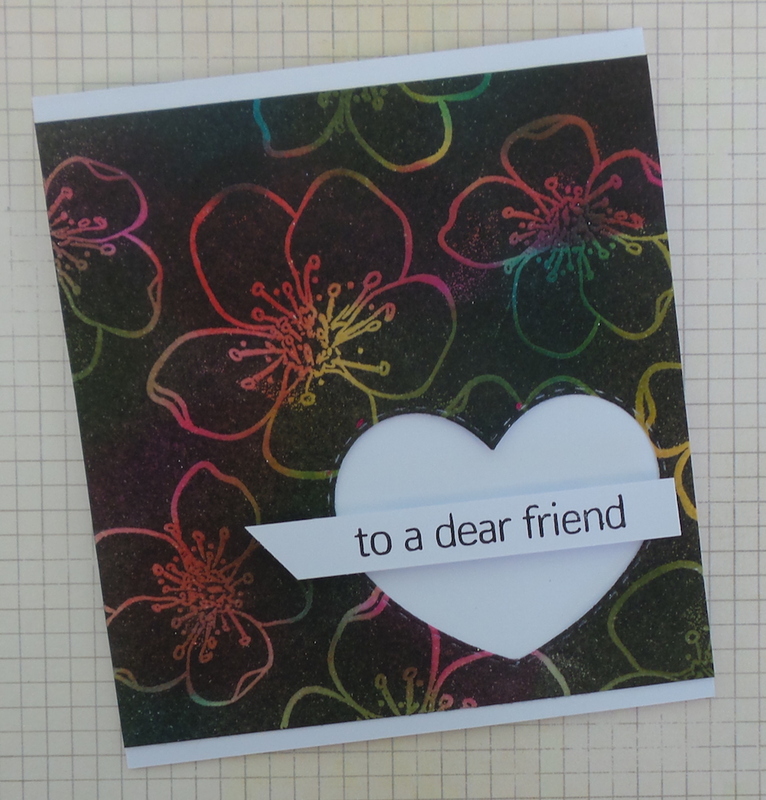 Love these beautiful stamps and dies, and the fabulous assortment of embossing powders to choose from! Awesome collaboration hop! Lovely cards, and that Joseph 's coat technique looks like fun to try! I love your cards! The 1st one is my fav. WOW embossing powders are the best and the Honey Bee stamp set is beautiful. What a great match! Thanks for sharing your beautiful embossed creations. I look forward to the blog hop collaboration. I love both companies! Wow! Love both your products! Great collaboration!!! Gorgeous card! Thanks for the tutorial!!! Your cards are so gorgeous and these products are top notch. Love the technique in the second card, the result is spectacular. Thanks for sharing your creativity. This is such a fantastic combo- WOW and Honeybee!! Thanks for a great giveaway! I just finished your great hop. I really enjoyed it. Gorgeous projects. Thanks for sharing. Your cards are amazing too. Fabulous projects! I must give that second technique a try sometime. Such a fun hop! Thanks for the chance to win.